ITIL 4. What changed and improved? ITIL is now leading digital resource actively used by many organizations. Everyone working with IT can get benefits from using ITIL frameworks. Recently there was an announcement of ITIL 4, which has inspiring changes that can provide users with complete improvement of IT management services. If you hear these frightful letters ITIL and ITSM and have no idea what it means, here is a short introduction. 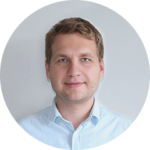 ITSM helps employees in their organization communicate with IT without knowing anything about technology and still get what they need and issues resolved. In two words, ITSM creates a bridge between IT and the customer and brings direct value to the business. There are manuals for ITSM, and the most popular and widely used is called ITIL. It is kind of Bible of ITSM. It contains more than 20 processes that align IT services with the needs of the business. There is no need to adopt all processes; you can choose the best one for your particular issue. However, there are the most common processes that are used by almost all programmers like Incident Management, Change management, and Problem management. 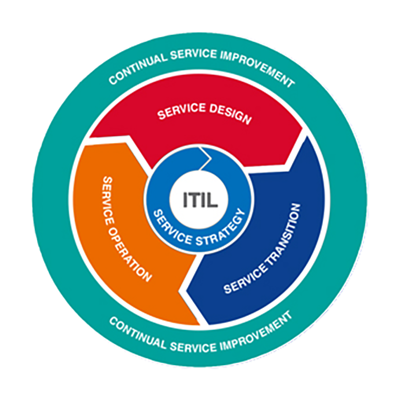 ITIL has become a currently principal digital resource that is being actively used by different governmental and private organizations in small, medium and large companies of a wide range. With its help, everyone who uses IT can get benefits from studying ITIL frameworks, and in our digital age, their number is growing every day! So what is new in ITIL4? First, ITIL 4 is not a replacement but the evolution of the previous version. If you already use ITIL 3, do not worry, because everything from the previous version is still relevant and valuable, and ITIL 3 is not going away immediately. The most significant fact is that after ITIL 4 release, all ITIL 3 certifications will still be relevant. However, ITIL 3 will be completely removed by 2020, so you still have some time to change your ITIL version. Another main feature of ITIL 4 is that comparing to all previous versions, the new one becomes more rounded and holistic. The authors completely revised all the documentation and took a fresh look at it, making it easier to read. There are also more specific examples, so everyone who deals with ITIL 4 will have more clarity. Unlike with the preceding versions, ITIL 4 concentrates on main principles and concepts of service management rather than on the ITIL processes. As ITIL now reflect other frameworks, there is an alliance with other systems like Agile and DevOps. Now for all the ITIL 4 users it will be available to adopt what is relevant to their business needs and have a successful adaptation. The latest version of ITIL represents core ideas of incident, problem and change management. After all, that is what all people do after studying books or having a training course, and they go back to work. With ITIL 4 users will have an understanding of how everything must fit together to be sure of delivering the core values of their company to the customers. The guiding principles are now in the core of the ITIL 4, unlike the previous version, firstly introduced in ITIL Practitioner, and they will be now in the ITIL 4 Foundation. Moreover, all the courses are much simplified comparing to version 3. Talking about the certification scheme, ITIL 4 will include such levels as Foundation, 3 Specialist Modules, Strategist, Leader, and Master of ITIL. In addition, for the 17 credits you will have a course that can bridge you from ITIL3 to the ITIL4 after passing an exam. After it, you will earn the ITIL Management Professionals, or ITIL MP, which is equivalent to the ITIL 3 Expert. The world will see gradual release of ITIL 4 and all Foundation material will be available at the end of February 2019. It will also introduce a great deal of new special content that will focus on new best practices. The new and much-talked-of update of ITIL is already around the corner. With ITIL frameworks and Polontech consultants help you can achieve complete improvement of IT management services in your organization. Our team of dedicated specialists will help you to find solution the most suitable for your purpose. If you are ready for the digital transformation, we’re glad to help you.